If you have diabetes, one of the cornerstones of any eating plan is paying attention to the type and amount of carbohydrates you consume. Because of this, it is important to understand the glycemic index, which categorizes the effect that different carbohydrates can have on raising your blood sugar levels. Eating carbohydrates that are lower on the glycemic index can increase your body's responsiveness to insulin. One of the hallmarks 0f this low-glycemic diet is again its emphasis on whole grains, fruits, and vegetables. As before, you will have to watch the type of vegetables and fruits that you eat with regards to their potassium content. This type of diet plan is tremendous and can dramatically improve control of your blood sugars. That being said, it is important to remember that in kidney disease, insulin can stay in the blood longer than it normally should. This is true for the insulin that your body makes, as well as for the insulin that your doctor may be prescribing for you. With any change in diet - changing the amount and types of carbohydrates that you are eating, for example - you may also need to reduce the amount of insulin that you are taking. If you do not, you will increase your risk of running a low blood sugar. Watch this with other groups of "diabetic medications" that you may be on, as well. An example is a class of diabetes medications called sulfonylureas (sole-fon-il-your-e-as). Your doctor may need to adjust them depending on your kidney function and blood sugar levels. The Atkins diet has at its essence a very high-protein, high-fat model with little or no carbohydrates allowed. By putting your body in a state of ketosis (kee-toe-sis), or fatty acid breakdown, it can help with weight loss, blood sugar control, and cholesterol level lowering. The downside is that the high protein load can be shocking to the kidneys. Forced to eliminate even more protein, the kidneys work harder, which may cause a worsening of kidney function. Therefore, I cannot endorse this diet in the setting of kidney disease. The acid-alkaline diet works on the principle that our bodies, which are geared towards balance, need to be at a neutral pH level. Our blood pH - a measure of the level of the acidity or alkalinity in the blood - normally runs slightly basic; however, many of us who consume Western-based diets are guilty of eating more acid-forming foods, including animal protein, which result in high acid levels in the blood. When the acid levels in the blood rise, it is thought to be a major contributor to illness and other health problems, including a worsening of inflammation. As kidney disease worsens, there is a problem with acid buildup in the blood. In certain diseases like diabetes, people may be even more predisposed to states of acidosis even with mild kidney disease. Many fruits and vegetables have more of an alkaline bent to maintain total body balance and decrease inflammation. But while they may be more alkaline, they also have a very moderate to high potassium content, and the amounts consumed need to be watched closely. Vegetables may be a better option. Broccoli, Brussels sprouts, beets, eggplant, green beans, cabbage, cucumber, lettuce, onions, radishes, summer squash, turnips, and water chestnuts have a low-to-moderate potassium content and are more alkaline. I recommend trying to include foods with an alkaline base, but careful attention needs to be paid to the potassium content of what you are eating. This requires a nutritional understanding of each piece of food you eat. 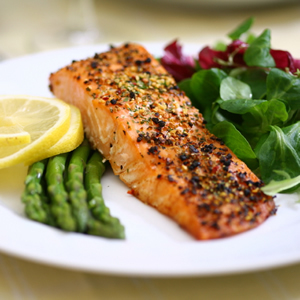 To find out more, you can check out Chronic Kidney Disease Diet Menu.